Today’s fast-paced life can easily take its toll on our health, resulting in days missed from work, school and other important functions. Our immune systems can have a major impact on our moods, energy levels and, of course, whether we get sick or not (and how often). While getting vitamin C from the foods you eat is very important, supplementation can help people on the go to get their daily recommended vitamin C requirements in a convenient, delicious way. 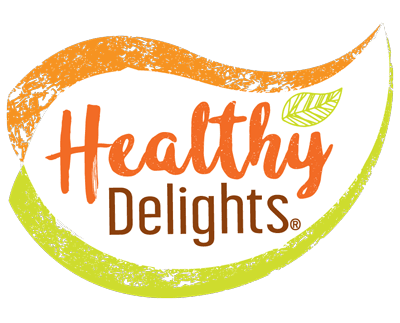 Healthy Delights Orange Cream Vitamin C Bites, for example, provide your full daily dose of vitamin C in a deliciously creamy candy crunch morsel. All that and only 40 calories! But there are plenty more benefits to taking vitamin C you may not know about. Skin is our largest organ, so taking care of it is of the utmost importance. As a crucial ingredient to maintaining healthy skin, vitamin C is also a powerful antioxidant. Collagen production is impacted by vitamin C, (vitamin C promotes the synthesis of collagen), as is the prevention and repair of dry skin (through topical use of vitamin C, aka: ascorbic acid). Keep your skin healthy and beautiful by making sure you get your daily dose of vitamin C.
Along with vitamin D and calcium, vitamin C aids in healthy bone formation. Healthy bones are crucial for overall activity and strength throughout our lives, so taking vitamin C is an investment in your quality of life. Delicious vitamin C bites are a cost-effective and yummy way to keep your bones strong and healthy! Vitamin C is known to help the body absorb iron more efficiently. Roughly one billion people across the world are anaemic and can benefit from including vitamin C with their iron intake. For the rest of us, iron absorption is crucially important, since it’s an important component of haemoglobin—the substance within red blood cells that carries oxygen from your lungs and transports it throughout the rest of your body, impacting every part of your day to day life and wellbeing. These are just a few of the many benefits of taking vitamin C on a daily basis. To be your best, healthiest self, both physically and mentally, eat a balanced diet and exercise regularly. And for those times when you need a little extra boost, try Healthy Delights Orange Cream Vitamin C Bites. At only 40 calories and a full day’s dose of vitamin C, there’s never been a tastier way to stay healthy!